Poetry for a few hours and then the alcohol takes over. Previous post: Love her or hate her, her novels will provoke some of the most interesting and intense discussions you’ll ever have about a book, some which are unproductive of sleep later that night. Next post: The Book Depository’s real-time bookselling map. To celebrate this stubborn survival of the Alaskan commercial fisherman, in May the community puts on a party, the Kodiak Crab Festival. The festival has been around since 1958, when they used to fish king crab out of the harbor and make them race each other so the humans could bet on them. We were barely an hour off the plane when my friend Sharyn and I walked down the hill from our hotel to the small boat harbor and bellied up to the SIFI booth on the festival midway. For $ 15 each we were presented with two halves of steaming king crab, melted butter, and Baby Wipes. Dana Stabenow. Alaska Traveler (Kindle Locations 2977-2981). Gere Donovan Press. 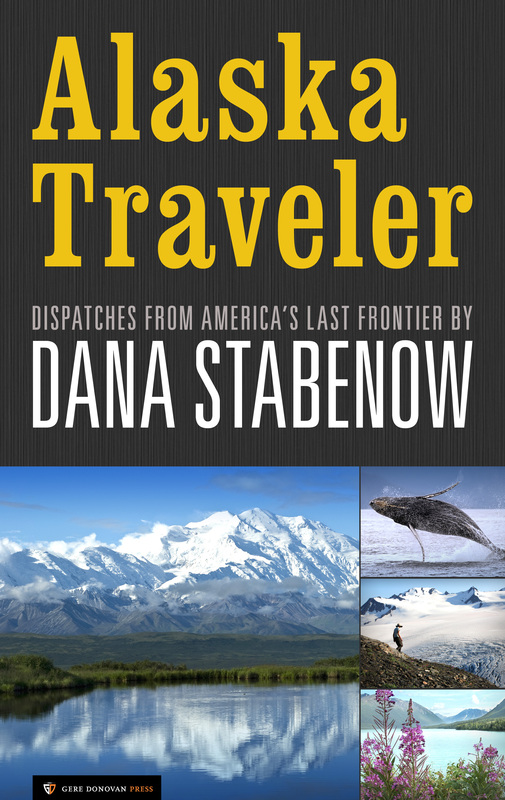 Would love to have a hard copy of Alaska Traveler for friends who are traveling to Alaska this year. Is that possible? If so, where? Thanks! Sorry, Phyllis, it’s only available in e.